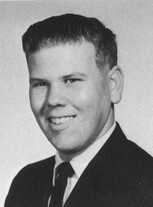 Welcome to the Archbishop Carroll High School Class of 1964 forums. Please press "Post Response" to participate in the discussion. 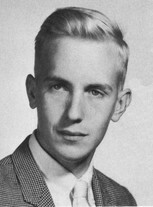 Lloyd Warner, who was killed in auto accident on his way to school, ca. 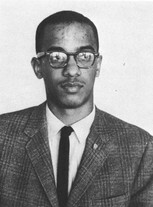 1961-62, should be added to our list of deceased classmates. 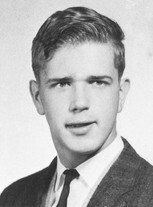 Of our 26 deceased classmates (identified so far), at least eleven were military veterns. If you know of others, drop me a note. area and have yet to drive the car that far, but what better occasion? I have a '60 Chevy pickup but there is no chance it would survive a trip from Colorado. Maybe alumni would like to post photos of their classic cars on the website? I remember the morning Bill Ickes told the class that Lloyd had been killed on his way to school. He was in my first period class and could see everyone look to his seat in the back row, as if to make sure he really wasn't there. It suddenly gave us all a sense of our own mortality. They buried him in his scout uniform. Little did we know that the sixties would be such a tough decade for all of us. Thanks for the memory Skip. Lloyd's desk was next to mine. Some memories last a lifetime. Wish that this one wasn't so sad. Sorry that I previously misspelled his name as Warner. It's Lloyd Warder. For those of us who are flying into Washington DC from "way" out-of-town, many of us will not have cars and may need transportation to the football game and to the Sunday morning mass & brunch. I will be staying at the reunion 'anchor' hotel - the Crowne Plaza Washington at National Airport. A natural assumption is that the other fly-ins will also be staying at the Crowne Plaza hotel also. I do not know the best way to advertise the fact that a ride is needed, so can someone suggest a methodology? George, I think this is a good place to start. Hopefully it will generate some responses. If not, we'll see what else we can come up with. Also, you can check the list of attendees and see who you know from out of town and send them a direct email, but it would be better if someone volunteered rather than you having to ask. Anybody out there who can give a ride to George? Ride on Sunday brunch might also be viable for guys living in Virginia, as I think George wants to go back to the hotel after the brunch. It depends on where you'll be staying. I'll b somewhere on the Maryland side (staying with various siblings and friends). I have a "date" to the game and Saturday dinner. We could, perhaps, give one or two grads a lift. My friend Sally lives in Bowie. I'll likely be in Silver Spring/Wheaton. Joe, thanks for offering George a ride. I also can give George a ride, but if anybody else can go ahead and post a message. It's always possible I will get caught up on some reunion planning activities, so it would be good to have multiple offers. I'd think that in general some amount of car pooling would be a good idea either to create designated drivers, or for those staying at the same place, etc, so I'm glad George got this think going. Anybody else want to put there car pool thoughts into this thread go ahead. Maybe some local Md or Va guys want to car pool on Friday so that they will have a designated driver. You can use the map on the home page to see who lives near you. Joe Mundie and I have car pooled to all the planning meetings and it's been a great way to catch up and share stories. Hi George, John and everybody else. Although I am staying off campus with my bro in Chevy chase, he's letting me use his car. I can carry four or five from the hotel to and from the game on Saturday. Another idea is to pick up and drop offf the riders at the nearesft metro station. The Metro Station option would work. There's a station about 2 blocks from the hotel, but there's not a convenient one at the other end - by the school. Don't know about the reliability of their schedules, but it's possible to take the metro from the hotel to the station near Catholic Univ. and get picked up there. Lot closer than driving all the way over to the hotel. I'll be getting a metro schedule and see if I can figure out what the arrival time would be at that station near CU. Clearly we'll talk more about this Friday evening. Maybe a 'Poster Board' at the Friday night meet & greet so that rides needed and rides available can be shared ? FYI It's an easy 15-minute walk from the CU/Brookland Station to the school. We could meet and walk together, if you'd like. Well, I can do it in under 15. One can cut through CU and past the Shrine to Harewood Road. But you're right. I am younger than you old farts. But I can and will pick up two or three grads from the Metro station at Brookland. I will have a car. I will need cell numbers. Mine is 801-440-5521. PS Just booked my flight. Flying into National Airport saved me about $140 over BWI, Dulles, and Norfolk. The senior fare rocks! PPS Just checked Google maps (using the walking option). Taking the long cut, it's 1.1 mile from the Brooklyn-CUA Metro to the front door at Carroll. So, walking slowly, it would be about an 18-20 minute stroll to the game. It's a nice walk. I did it a few years ago. The short cut through CU campus likely cuts bout .2 of a mile off the trek. John, we will see that rides are available. You are traveling over 2000 miles we can make sure there are rides the last 10 miles. Many of the guys that are on the reunion committee are also staying at the Crown Plaza for the 2 nights. Just check with us Friday night and we will set up some transportation. I would like to congratulate all of the organizers of the 50th Anniversary who did such a wonderful job in organizing and surpassed my expectations. Can some one on the committee give me the email address of Mary Elizabeth Blaufuss (President of Carroll). She and I have a mutual friend (Jesuit) and he would like to send her an email with some pictures of them. Here you go John, mblaufuss@achsdc.org.